They're just books. I know, I know; books are special and they're to be treasured. So much work goes into them and I love books - clearly. But realistically they're not the most important things in the world. There are bigger things to worry about. New covers being introduced mid-series... meh. It's slightly irritating and it can mess up the careful organisation of your shelves but in the grand scheme of things it's not worth freaking out over. The words are still the same. You've still got your favourite characters, unless they've been horrifically and dramatically killed off - which is likely, but whatever. They've still (probably) got the same names as they always have done. Same plot. Same author. Same familiar world that you've enjoyed time and time again. The story inside is still the epic adventure you've been looking forward to since you finished that previous book. Publishers want to sell books. It's an industry and they're very good at what they do and predicting what will work and what won't. If they think new covers are going to sell more books and get the series out to more people, it probably will. And anything that sells more books and gets more people reading can only be a good thing in my opinion. Finally - what happened to not judging a book by its cover? Books getting a re-design mid-series can be annoying but you can bet there's going to be a reason for it. Y'know what would be more annoying? If the final book never got to be published because too many people boycotted the series due to it getting new covers. What do you think about this whole issue? Sure, it's annoying, but is it really that bad? Let's discuss! I don't see the big deal with redesigned covers. It can also make certain books in the series stand out more on their own, maybe even be more appreciated in their own light. I'm quite matchy-matchy with my books, so I do find it irritating when the covers don't match or the size changes. That's just my preference, irrational as I know it may be! But that would NEVER stop me from buying the book. I completely agree with you that this is the wrong approach to take, as it only hurts everyone to boycott a book for such a superficial reason, particularly the author. It's already super hard to get a book published, it should be celebrated when it occurs. I understand where people are coming from when they get annoyed about changing book covers, but honestly, it's never really bothered me. I like seeing my bookshelf full of different colours and fonts, almost like physical representations of how all the stories and worlds are different inside. I agree that we seem to have lost our concept of 'not judging books by their covers'. By all means a book cover can draw you into a book you may otherwise not have picked up, but if it's a series that you already love, superficial reasons shouldn't change that. I'm not particularly fussed - my copy of Goblet of Fire doesn't match the rest of my editions of Harry Potter. I know it's the inside that matters, but I DO judge books by their covers. It's the first thing I see before reading the blurb - and often I'll instantly be drawn away from looking further. It's wrong I know, but I think if you're going to change the cover, then don't make it WORSE. I'll admit, I'm one of those who have a huge pet peeve with mid-series cover changes and I love having matching covers on my shelves. We all do. But that most definitely wouldn't stop me from purchasing the book and support the author. That's completely heartless. Despite it all, I am open to change if needs be. I grow to accept change and adapt, heck, Amanda Sun's Paper God's trilogy are all different sizes and the third book went through a redesign but that didn't stop me from wanting to read the stories and purchasing them. I love that pizza reference! Completely agree! I'd rather a cover redesign than not having the book at all. Rationally thinking, of course it's completely irrelevant what the covers look like, the content is still the same. But honestly, it's so annoying when publishers do that and they KNOW that we hate this. 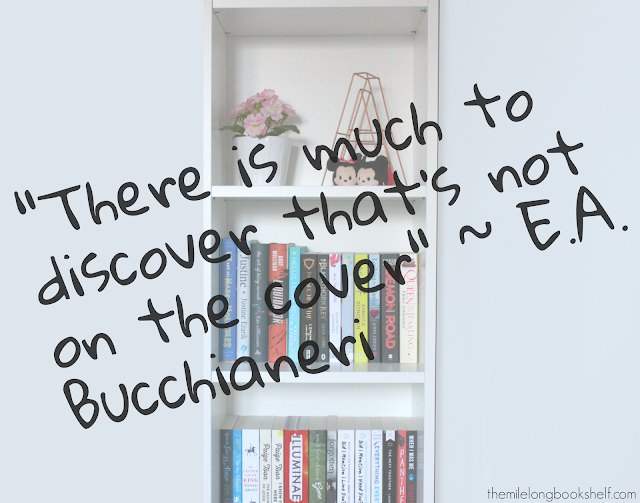 Cover changes aren't about the established readers, it's about the new readers. It's honestly sad how ignorant this is towards fans of a book series. I absolutely can't stand mid-series cover changes. I like matching things and that doesn't only go for books. Books are for reading, duh. But the majority of the time they reside on bookshelves and these are very prominent anchors to their rooms. So yeah, if there's a cover change, chances are I'm not buying the paperback or hardcover that mismatches the rest. I mean, I make sure to buy the same formats of all the books in the same series. That being said, I don't exactly boycott the books, even if I don't buy the print copies because hey! There are ebooks that absolutely have no aesthetic value to add to my bookshelves. I get to read the book, which is the main reason for buying after all, contribute to the sales of a book and so don't stall distribution, and very happily, don't end up obsessing over mismatched covers that mar my bookshelves.. If it's a series I really love then I'll just keep buying the books and then re-buy them later so they all match. If it's a series I don't know or haven't started then I'll wait til they're all released and then buy them matching. Sometimes I re-buy series because I love the re-designed covers - I did that with the Twilight white editions and I'm going to do it with this http://www.amazon.co.uk/Harry-Potter-Complete-Collection-Seven/dp/1408850753/ref=sr_1_1?s=books&ie=UTF8&qid=1413204247&sr=1-1&keywords=harry+potter+box+set Harry Potter set. I'm just fussy on my books matching. It annoys me more if they change the size rather than the cover or if I have mixed hardback and paperback.